Mike Moore | The Journal Gazette: Allen County Prosecutor Karen Richards speaks Tuesday during a news conference about Sunday's arrest of John D. Miller in the death of April Tinsley in 1988. Genealogy databases are powerful new tools for police and could be used to solve local cases, Allen County Prosecutor Karen Richards said Tuesday. 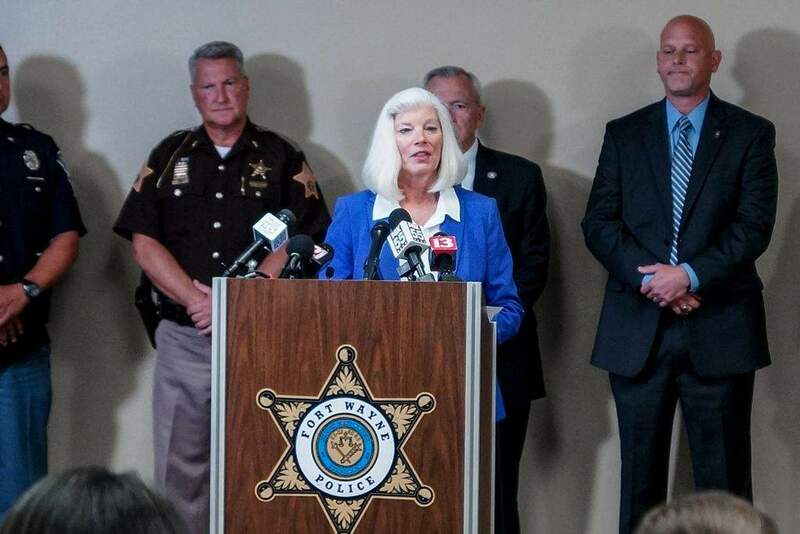 The comments came during a news conference in which she thanked law enforcement agencies for work that led to the arrest Sunday of John D. Miller, 59, of Grabill. He is charged with murder in the death of 8-year-old April Tinsley in 1988. Few new details about the case were released, but Richards said DNA evidence coupled with publicly available genealogical data should send a message to criminal suspects. "This case should tell them something," she said. April disappeared after leaving her home on Fort Wayne's south side on April 1, 1988. She was found dead in DeKalb County three days later. Little hard evidence was available to tie potential suspects to the murder, though investigators collected DNA left at the scene. That and DNA collected from used condoms in 2004 and July 6 was used to narrow the search to Miller as the alleged killer, police said. For more on this story, see Wednesday's print edition of The Journal Gazette or visit www.journalgazette.net after 1 a.m. Wednesday.